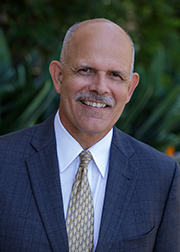 Paul was born and raised in Ventura County and spent the first 33 years of his career as a sole practitioner. He joined Griffith & Thornburgh in 2014 and is excited to be associated and work with a law firm and group of attorneys he has both admired and respected since he began practicing law in 1980. Paul’s previous career in music allowed him to work and perform with a number of brilliant musicians including Tommy Tedesco, Joe Farrell, Airto Moreira, Shelly Mann, Eddie Harris, Larry Carlton, and Kei Akagi. Paul continues to enjoy music, playing golf, and spending time with his wife, Julie, and three children, Matthew, Toni, and Lauren, whose attention he competes for in a daily battle with an over indulged, exceedingly pampered mini schnauzer, who goes by the name Bo.